WASHINGTON — President Donald Trump and Defense Secretary Jim Mattis spoke on Saturday with their South Korean counterparts after the historic meeting between leaders of the two Koreas, and Trump said “things are going very well” as he prepares for an expected summit with the North’s Kim Jong Un. Trump tweeted Saturday that he had “a long and very good talk” with President Moon Jae-in. He also said he updated Japan’s prime minister, Shinzo Abe, about “the ongoing negotiations” for an anticipated summit with Kim, tentatively scheduled for May or early June. 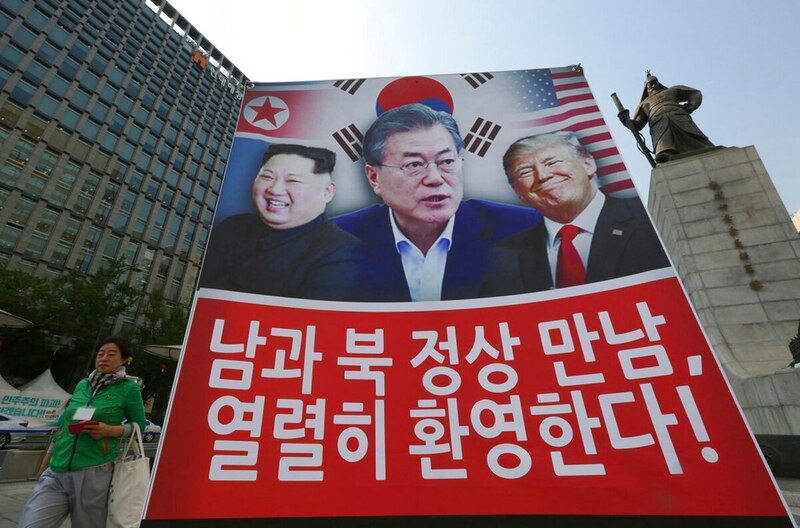 Trump is claiming credit for the Korean summit, but now faces a burden in helping turn the Korean leaders’ bold but vague vision for peace into reality after more than six decades of hostility. “It is still unclear whether North Korea still believes that it can have its cake and eat it too,” said Victor Cha, who until January had been in the running to become Trump’s choice for ambassador to South Korea. 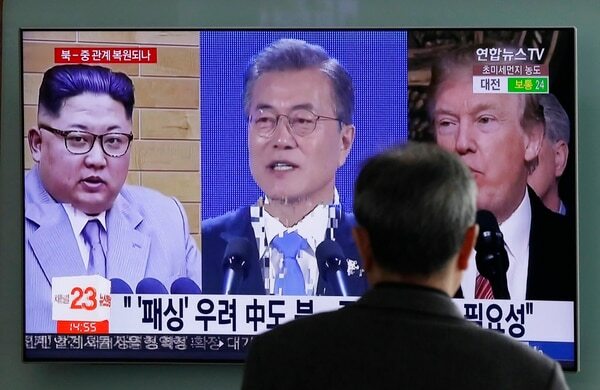 Moon and Kim have not specified what steps would be taken to formally end the war or eliminate nuclear weapons. Now the pressure to deliver results, at least on the allies’ side, has shifted to Trump. The president pushed back against critics who say he’s being manipulated by Kim, who has abruptly shifted to diplomacy after last year’s full-scale push to become a nuclear power that could threaten the U.S. mainland. New Secretary of State Mike Pompeo, who as CIA director met Kim four weeks ago in North Korea, told reporters in Brussels that he got the impression that Kim was “serious” about negotiating on denuclearization because of the Trump-led economic pressure campaign. Mattis has said the U.S. is “optimistic right now that there’s opportunity here that we have never enjoyed since 1950″ and any progress will be up to the diplomats. He was referring to the year the Korean War broke out.